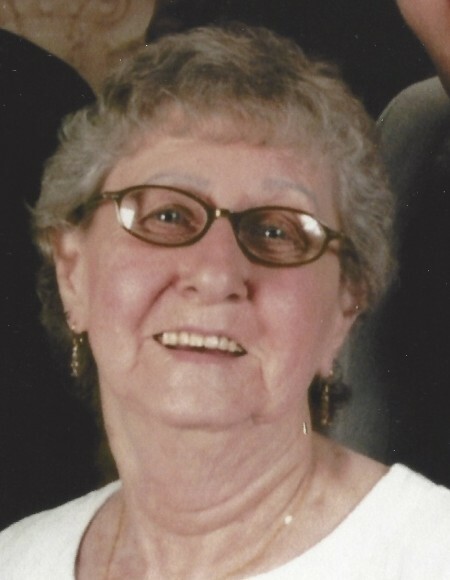 Theresa H. Boken, of Akron passed away peacefully, surrounded by family on November 15, 2018. She was born June 17, 1929 in New Suffolk, New York to the late William and Jessie (Majewski) Gaffga. Theresa grew up on Long Island and worked on the water from a very young age with her family. She and her brother William were often harvesting scallops at this time of the year. Theresa loved sports, followed the Bills, Raiders, and was a die-hard Mets fan. She loved taking family cruises and cherished the time spent with her grandchildren and great-grandchildren. Beloved mother of Patricia (David) Gerstung. Cherished grandmother of Trena (James) White and Nicole (Steven) Tedesco and great-grandmother to Mackenzie and Nadia White and Brodeur and Cash Tedesco. Sister-in-law, Margaret Gaffga; best friend, Gerry Benker and many nieces and nephews also survive Theresa. Her husband, Michael Boken; a brother, William Gaffga, Jr.; a sister, Marian Bitzer, and a great- grandson, Sebastian Tedesco predecease her. Friends and relatives may call from 1 to 3 p.m. on Saturday, November 24, 2018 at Ross Funeral Home of Akron, LLC, 10 Eckerson Avenue, Akron with a Funeral Service following at 3:00 p.m. The family would appreciate donations in Theresa’s name to St. Jude Children's Research Hospital, 501 St. Jude Place, Memphis, TN 38105-9959.